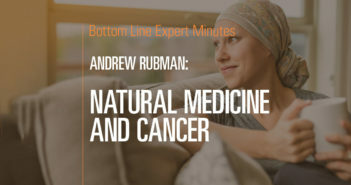 Natural medicine cures even when conventional medicine fails. 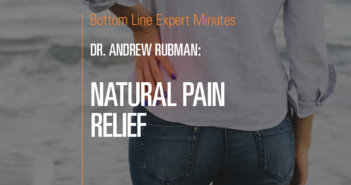 Naturopathic physician Andrew Rubman, ND, shares real stories about suffering patients…and his successful strategies for bringing them lasting relief and healing. 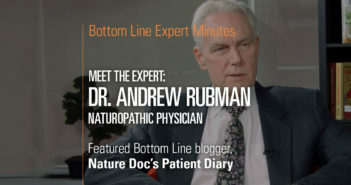 Find more of his insights on his Bottom Line blog, Nature Doc’s Patient Diary. 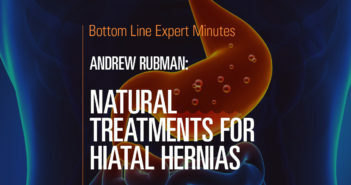 Stress-induced incontinence is a problem. Women are more likely to suffer from incontinence than men because of differences in their anatomy. 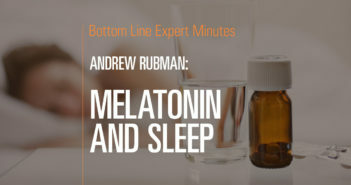 Dr. Andrew Rubman goes against the grain of common advice and suggests that while melatonin can be helpful, it should not be taken on a continuous basis. Botanicals such as valerian, hops, and skullcap can help people get better sleep. 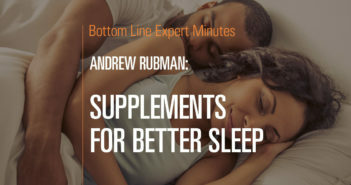 Magnesium and calcium supplements also help improve sleep quality. 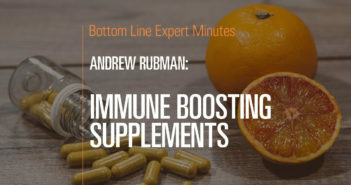 Vitamin C is crucial, but Dr. Rubman recommends getting more of this vitamin through a healthy diet, not simply relying on a pill. In addition to a broad-spectrum vitamin and mineral supplement, people should also take multi B vitamins, calcium and magnesium supplements. Gluten can provoke inflammation in the gut, and that can cause the body to store energy as fat. 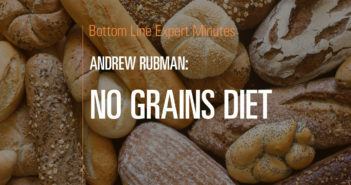 Cutting grains from your diet can lead to weight loss. 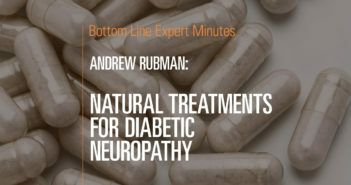 Learn which natural supplements are good for diabetic neuropathy. 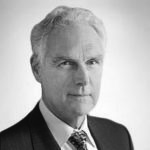 Dr. Andrew Rubman recommends alpha-lipoic acid (ALA) and octacosanol. 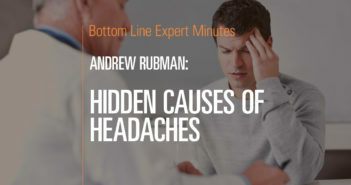 Irregularities in the gut can result in substances passing through the lining of the large intestine into the body, causing headaches and other problems. You can’t completely avoid environmental toxins. 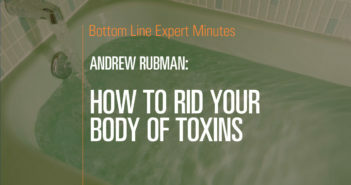 Learn how to detoxify your body naturally from three angles—inside the body, outside the body, and diet. 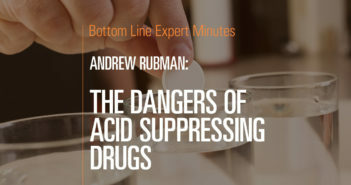 Acid-suppressing drugs are commonly prescribed and taken on an ongoing basis by patients—but this class of drugs is one of the most dangerous you can take. 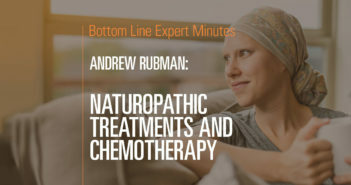 All cancer patients should have a naturopath on their team to ensure that they are getting the most comprehensive treatment possible. 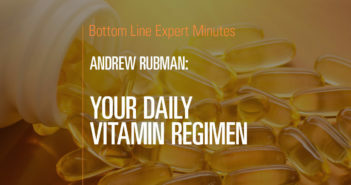 Vitamin D deficiency can lead to bone, immune and neurological problems. Simply spending time in the sun isn’t sufficient to maintain proper levels. Vitamin D is crucial to your health, and a vitamin D deficiency can lead to bone, immune and neurological problems. So how do you know if you are getting the proper amount? 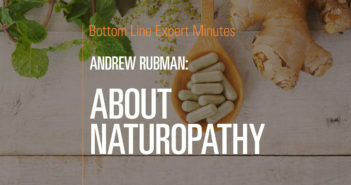 In this video, Dr. Andrew Rubman, naturopathic physician and author of Bottom Line’s “Nature Doc’s Patient Diary” blog, explains that simply spending time in the sun is not sufficient to maintain proper vitamin D levels. 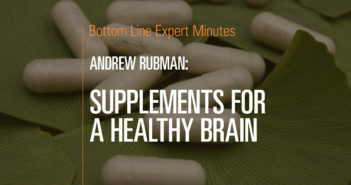 He recommends a daily vitamin D supplement that contains 3,000 international units (IU) to 5,000 IU. 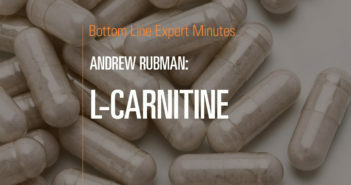 But he also cautions that you can get too much of this vitamin. 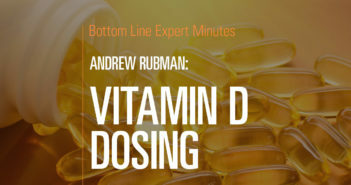 Fortunately, a simple blood test can measure vitamin D levels.